Calisthenics has grown tremendously over the last few years. It’s no longer the underground discipline it used to be not too long ago. As calisthenics rose in popularity, a host of names have risen to stardom in the field of calisthenics and bodyweight training. This is a list of 69 of these stars, or calisthenics masters. I tried to include people with different styles and from different countries. These are people that inspire me personally, and I’m sure they will inspire you too. If your favorite calisthenics athlete is missing from this list, please let me know in the comment section. I’m thankful to everyone who left suggestions on the earlier version of this list. This update would not have been possible without your feedback. As you go down the list, remember that all 69 athletes have started somewhere, and that whatever your current fitness level, you could be on the next update of this list, but you need to start. Frank Medrano is an extreme calisthenics athlete and personal trainer. He was a track athlete in high school and became interested in bodybuilding soon after. In 2010 he started doing calisthenics from watching YouTube videos and being inspired by the likes of Hit Richards and Kalosthenos. Frank also changed his diet and became a full vegan. He encourages others to tap into their body’s potential and develop a better physique through free weights and calisthenics. Barstrzz is a workout team founded by Edward Checo, with the aim of inspiring popele to live a healthier life style. Barstarzz are constantly reaching for more creative ways to ise calisthenics, resulting in a constant stream fof highly entertaining calisthenics videos. So keep an eye on these guys. Sam Tribble is a champion gymnast and he founded Tribb Sports, Giants Gymnastics, and Team Spinnovation. He is also one of the members of the original Strength Project team. Strength Project is an all-around fitness team that doesn’t solely focus on acrobatics only or calisthenics, but promotes any type of movement as long as it is an efficient, practical, and safe way to reach your goal. Brandon is a best selling author, speed reader, musician, and fitness Expert. He got it all. Brendan Meyers is a competitive calisthenics athlete with a background in football. Brendan didn’t only play football, he also trained a number of top NFL players. So when it comes to getting people to optimal fitness condition, this guy knows what he’s doing. Brendan has some nice fitness tutorials on his youtube channel, so if you want to get started with fitness, following one of his videos might be a great way to get the ball rolling. Lazar is the founder Bar Brothers. Bar Brothers is an international calisthenics workout team that performs creative body weight exercises. You can join Bar Brother by completing their test under 5 minutes, which consists of 7 Muscle Ups, 25 Dips, 10 Wide Grip Pull Ups, 25 Push Ups, 10 Leg Lifts, and 7 Muscle Ups. Pavel Rudometkin is one of the youngest people on this list. He started doing calisthenics as a young teen. currently he runs The Fortress, a website which features accessible workouts and training programs that everyone can try. Calisthenic Movement is a calisthenics team from Germany. The team has for goal to inspire people to take charge, get fit, and choose a healthy lifestyle. Kris Karlsson. is the man behind Calisthenics & Weight Training. With 15 years of fitness experience under his belt, Karl sets out to spread love and dedication for exercise. Daniel Vadnal is well known as a gymnastics and bodyweight expert. He runs FitnessFAQs.tv which features tutorials and information on how to do body weight training and gymnastics strength training. Tapp Brothers are fitness crazed twims. They do parkour, freerunning, stunts, and some other crazy stuff. Their goal is to improve themselves as athletes and spread the knowledge along the way! Tee Major is a personal trainer and strength coach with an extensive background in the military. He was an athlete in his teens and went on to become one of the best trainers in the world. Tee Major Fitness aims to help people improve and change for the better through small attainable goals–in line with the Japanese “Kaizen” philosophy. Dominik is a self taught athletics polymaths, with a special interest in parkour and calisthenics. Jerome Fitness is focused on giving educational information and tutorials related to fitness, flexibility, and nutrition. It is hosted by Jerome, a Dutch fitness enthusiast, who wanted to inspire others to work out and better themselves. Adam Raw is an amazing calisthenics expert from the Czech Republic. AKA Bruno Salgueiro, a professional stuntman and superstar personal trainer. Hit Richards is the founder and president of The Calisthenics Kingz, an organization of professional performance-based fitness training experts whose mission is to promote fitness through calisthenics. This organization aims to let people know of the benefits of natural body weight exercises. Founder of kinobody.com. Greg wants to teach people how to build a lean and muscular physique. Check out his tutorials and see if he can give you that kind of body. Ido Portal is an internationally renowned fitness instructor who specializes in body weight fitness training and gymnastics oriented strength and conditioning training. He studied martial arts as a kid, discovered capoeira, and went on to train in various disciplines such as gymnastics, boxing, yoga, dance and lots more. Taking everything he learned from these and his studies of the human body and sports, he developed a system of movement more commonly known now as the Ido Portal Movement. Ido Portal is also known as a great speaker, motivator and coach. Ryan Hurst is the founder of GMB Fitness. GMB Fitness provides complete body movement program that incorporates bodyweight training and gymnastic rings exercises to develop one’s fundamentals–strength, agility, balance, and control. Team DNA fitness is an American collective, seeking to teach and motivate through a mix of calisthenics, weightliftingnd a crossfit. Carl Paoli is a gymnast and strength and conditioning coach, and founder of Naka Athletics. Naka Athletics is a training program that caters to all action sports athletes. The program focuses on strength and conditioning, nutrition, physical therapy, and trampoline or freestyle work. It aims to help athletes build a solid foundation to take their passion to a higher level. 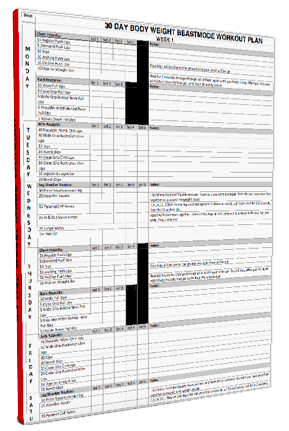 Naka Athletics also design the Gymnastics WOD program to help athletes build their gymnastics foundation. Al Kavadlo is a successful personal trainer who favors progressive calisthenics as opposed to traditional weight training. He is known throughout the world for his feat of strengths and has been appointed lead instructor for the Progressive Calisthenics Certification. He is the author of Raising The Bar: The Definitive Guide to Pull-up Bar Calisthenics and will soon release his latest book Pushing The Limits! Total Body Strength With No Equipment. Yerai Alonso is the founder of Yerai Street Workout. TYW produces a wealth of calsthenics-focused high quality content in Spanish. Antranik is known for his detailed and easy to understand fitness tutorials. His mission is to accelerate change for the better. Founder of The Prophecy Workout. He has been involved with the street workout scene for over 10 years. Antwone is a true veteran and he wants to share his experience with the world. KRAP Style is an Italian Freestyle Sports Association. It also happens to be a popular clothing brand and the owner of one of the biggest indoor parkour facility in Europe. KRAP promotes all types of freestyle sports such as parkour, freerunning, capoeira, snowboarding, skateboarding, mountain biking, juggling, and any other freestyle sport you can think of. The group aims to promote a life philosophy that incorporates the values of sports, creativity, socialization, determination, mental and physical well being, and love and respect. Dan is a Korean athlete with excellent tutorials for bodyweight training, stretching, bboying, etc. Hannibal For King (yes, that’s really what he calls himself) is best known as one of the most intense body weight calisthenics experts in existence. He has been known to do hanging ab flutters, straight arm flagpoles off a fence or gate, and other unbelievable body weight calisthenic moves. Mike Fitch is an experienced fitness professional who decided to seek out new ways to workout when his daily routine no longer challenged him. He created the Global Bodyweight Training or GBT system. The GBT system incorporates elements of several fitness programs including strength training, parkour, gymnastics, capoeira, breakdancing, and other body weight disciplines. Simonster is an Australian dancer, artist, and athlete. He does some amazing feats of strength so check him out. California’s Cali is an absolute beast. As you may guess, Kali dabbles in forms of exercise other than calisthenics, but for a guy his size, the calisthenics tricks he pulls are unbelevable. Luiz is the founder of Calistenia Brasil. CB is a calisthenics collective founded that aims to popularize calisthenics in Brazil. Lad’a Pridal is another body weight calisthenics enthusiast from the Czech Republic. He started his training in 2009 and has since then changed his way of life with calisthenics. AKA LittleBeastM. Metin is a Dutch fitness coach with a wide area of interests. As his pseudonym suggests, this guy is an absolute beast. Denis Minin is the Ukrainian “Michael Jordan” and is very much into body weight calisthenics. He has an organization called Street-Workouts.org which aims to keep kids off the streets by inspiring and motivating them to do something with their lives. Marcus is an Australian fintess coach with over 45 of fitness experience and a number of Guiness world records to his name. Nik is an amazing Russian calisthenics athlete. Meckanimal, also known as Godfrey Ali, was inspired by Hannibal For King to pursue a life with calisthenics. He is a personal trainer and avid believer of calisthenics based workouts. Pavle Djurdjevic is from Bosnia and is well known for street workout, which is a mix of gymnastics and acrobatics done out in the open (thus, the term “street”) and in freestyle mode, meaning the one doing the workout can incorporate anything he feels like doing. 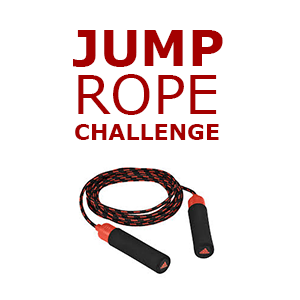 This keeps the workout fun and fresh and continuously challenging. Enes is a Bosnian athlete interested in calisthenics, parkour, freerunning, tricking, etc. Chazynash is the founder of Bar-Risan, a Malaysian fitness collective. Bar-Risan remains the leading calisthenics collective in South East Asia. Jim Bathurst is an award winning trainer, athlete, and certified specialist in strength and conditioning. He created his website Beast Skills to help others with their own body weight training, gymnastics and acrobatic skills through tutorials. Carucyn is one of the best Italian calisthenics athletes. His calisthenics tutorials in Italian are amazing. Dmitry is a Russian calisthenics superstar with over 6 years of street workout experience. Kevin Soler is a member of France’s Street Workout 83, an organization which aims to spread awareness about street workout and encourage more people to get in shape. He is very well known in the international street workout competition circuit. Keith Horan produces some breath taking calisthenics and parkour videos. Just go to his youtube channel and enjoy! Kenneth is a master calisthenics coach, training other coaches to how best transfer their knowledge. Claudio is a martial artist and personal trainer. His calisthenics tutorials in Italian are some of the best out there. AKA DeUanUIs, is another great calisthenics master from Italy. Jack has been called “The Godfather of Fitness” and “First Fitness Superhero.” He’s been excelling at fitness and calisthenics before almost everyone on this list born. 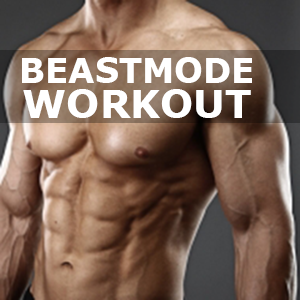 Juice, a personal trainer from New York, is another true disciple of calisthenics or as they call it, the Beastmode workout. Joshua use his medical training to produce some highly technical videos that would satisfy any fitness nerd. The Body Practice promotes a complete body workout system with no training equipment required. The workout consists of intervals of various exercises incorporating calisthenics, yoga, martial arts, static and dynamic exercises. The group offers workshops, DVDs of their workout programs, and even a training program for those who want to teach the system. Matt is a big believe in bodyweight exercise. He founded the Red Delta Project to share his knowledge about enthusiasm for the importance of the body as a tool to achieve strength. Jordan Hill is a member of Bar Brothers Florida, a bodyweight training group who likes to call their workout “baristhenics.” Jordan considers himself a “fitness freak” and a great motivator. He only wants to see others progress in their development. Danny Kavadlo is a nutrition consultant and personal trainer who’s been doing strength training and calisthenics for over 25 years. He is also well known for being one of the key players in making street workout as popular as it is now. He also happens to be Al Kavadlo’s brother. Dennis is the founder of Baristi Workout, one of the world’s leading calisthenics teams. Team Physix is a bar/street workout team from Norway. They focus on bodyweight training to be successful not in only their fitness goals but in other aspects as well. They also strive to motivate others live a healthier lifestyle. Ranjit is the founder of Street Strength. He has some awesome calisthenics videos. Valera is another excellent calisthenics athlete from Russia, with some absolutely sick videos. Gadzhi is an up and coming calisthenics master. I’m keeping an eye on this guy. Bar-Maniacs is a calisthenics crew from Serbia. They began training in 2012 and are dedicated to helping others and motivating others to do pursue a fit life. Willy Weldens is a French body weight strength athlete and performer. He is known for his amazing acrobatic performances and feats of body weight strength during his shows. Grace is a fitness model and blogger and personal trainer, specializing inn Calisthenics, Kettlebells, and Yoga. Dean is a distinguished yoga teacher and founder of Man Flow Yoga. Dean has an approach to yoga that is non-spiritual, fitness oriented, and man friendly. He strips yoga down to its physical core and proves that you yoga can be practiced by everyone, regardless of gender and spiritual beliefs. Good article but should have included yourself and another guy I have been reading on Scott Sonnon. :D. I appreciate that John. Not sure I could be considered a “master” yet. Will have to check out the work of Scott. You forgot Lord Vital homie. Oops, you’re right. That dude is killer. Thanks for reminding me. Todd – Please check out our crew at Bondi Beach. We actually break and hold Official World Records in body weight. *5 metre rope climb – /60 sec time limit – 27.8 metres – set 4 years ago – on national TV – many Olympic gymnasts have tried to break it and failed – so have various special forces units and Chinese state acrobats. *Muscle ups – yes – Muscle Ups – by my pal Jarryd Rubenstein – still stands after 4 years – 26 reps. Many have tried, no one comes close. *My mate, Aussie Ironman Champion – Caine Eckstein just SMASHED the World Record for pull ups – 12 AND 24 hours – !!!! On Today SHOW USA Times Square – 4,210 reps in 12 hours !!! The old record was by a Russian – 4,200 reps in 24 hrs! YOWZA! *Supinated muscle ups – 17 reps in 60 secs time limit. Too many more to mention – !!! Thanks Tariq for pointing him out. Maybe on the next update. This guy is awesome! What a great video. Thanks Thomas! This seems like a great list and I’m a huge fan of the street workout as well as bodyweight training in general. I’m confused about the qualifier “ever” though. Are you implying that the current generation of bodyweight masters completely eclipses everyone else in history? I’m having a hard time imagining that there isn’t some historical evidence of people who did what we would consider elite level bodyweight training prior to a decade or so ago. Maybe a sign of age on my part, but I seem to remember there being stories of people doing pretty high level calisthenics even prior to the Internet. Agrees. you should google Jasper Benincasa btw;) that’s a master! What about vass the super saiyan he is incredibly strong. Love your site! You missed one of the forefathers of what these guys you mentioned are doing now. Hassan “Giant” Yasin of the Bartendaz! I agree with my cousin Devon what happened to the shaolin monks. Yep, will definitely have to add these Olivia. Thanks for the suggestion! Todd, yo are a very strong man I like t see you do pushups and other things but don’t you do any thing else. ps. I like you. She means don’t you do stuff that is NOT exercise. Definitely have to add him. Do you have any favorite links to videos of him? One question. How could you miss Vass the SuperSaiyan, he’s for sure on the top 10 list of calisthenics performers worldwide? Or was this your personal preference? Never heard of him. I will have to do some searching on him. Where did you first hear about him? This guy probably tops this whole list. He is the only person I’ve ever seen that can do a legit CTI pullout! Insane video!!! Thanks for sharing. Very motivating. pavle is serbian and his from banjaluka-bosnia. Thanks Noone! Just made the correction. I appreciate you looking out for me! Please,Pavle is not from Croatia,he is from Bosnia.. I just made the correction. Sorry for the mess up. You need to know Claudio Giannotti and put him on the list, is champion of “Battle of the Bars Th I” and “Th Battle of the Bars II”, is a beast! Wicked bro! I have never seen him before but he looks sweet! Totally agree, Claudio Gianotti should be there. He is the founder of the Calisthenics Evolution institute and a champ. Awesome list! It’s guys like these that inspired me to leave the gym and start training my clients with bodyweight exercises. Thanks for the inspiration! don’t forget Adam Raw, Vitalij Gumennij, and Vladimir Sadkov. I think they are the best too.. anyway great post.. Thank you for including me in the list! Happy to do it Jerome! I just sent you an email. Where is Hasaan Yasin on this list? Never heard of him but just found this video. Pretty sweet!! What about Dennis Ratano (Baristi Workout)? You got a video of him? Couldn’t find anything on Google. You can look Dennis up on youtube, hes the founder of Baristi Workout. Seems you missed the Bar-Barians. Oh man! How did I miss them. I need to do an update of this list for sure. Thanks Dirk! You also forgot Vladimir Sadkov! Can you provide some links bro??? Never heard of these folks. What about Pavel Tsatsouline, Dominic Lacasse, Mark Lauren, and Paul Wade? Noone’s ever seen the Convict Conditioner but according to him he could do one arm handstand pushups in is prime. This list sux, bruh. U’ve missed maaany killers in calis movement and put guys who do calisthenics not in clear form. Zef and all his Bar-Barians team, Lord Vital, Niroc, Jasper Benincasa, B-Rock, Akeem Soul Scott, Powerhouse, Gator and others and others… Where da hell are them maaannnnn?! Can you provide some links so I can learn more about these people? Other than Bar-Barians and Lord Vital, I don’t know who these people are. Missing Littlebeastm and Lord vital. What about Marcus and all the boys at Bondi beach? There are some legit guys there. Jaryd Rubenstein can bang out well over 25 muscle ups in a row, and Marcus can get 5 one armed chins. They are some legit bar athletes. And then Alfie (too easy) Nester from Elite Calisthenics came along and changed the game. Awesome list! But how can you have Adam Raw in there, but not Little Beast M and Lord Vital? Maybe he is the best! now he is the true king of calisthenics, who is also big and weight much, not like the others like frank medrano who is 5 feet tall and weights like feather… try it on MASS! I personally believe that Devin Sosa “Zef Zakaveli” should be amongst the top 3 with Hannibal and Hit. His endurance alone sets him apart from most. His concept of G.O.D. set pushups and pull ups inspired me to up my reps and work harder at achieving my personal goals. (Greatness.On.Demand) 100 reps per set. His barbarian requirements itself will test your metal. Zef is truly one of the greatest. That’s a great honor. I’m really happy you like SOA. What’s the name of your site? Awesome list, Todd! But you need to expand it to 50 and include Dominik Sky! He is the first one who inspired me to begin calisthenics training. I’m actually intending on expanding the list soon, so stay tuned. Al Kavadlo is not a master. Only one woman?! What’s up with that? You could’ve at least put Julie Angel as a second option. I agree, women are underrepresented. I’ll make sure that won’t be the case in the next update. Great feats of strength and years of hard work to reach such high skill levels. However, I would of left out quite a few on the list due to being obvious PED users to salute the men and women on the list who are natural. Plenty of fantastic athletes listed. Impressive! A little science + history + google = picking the naughty unaturals. No drug (IQ) tests required. This is certainly something to consider in the next update of the list. Add littlebeastm is the best! Absolutely. There are so many great masters out there, it’s difficult to choose between them. Stay tuned for the next update, there will definitely be new names. Great list, there are a lot of great calisthenics masters. If I need to pick one, I would go with Daniel Vadnal. Learnt so much from his videos. Yep, Antonio, Daniel is a great guy and a great coach. Wao, This is very large and great compilation about calisthenics, I can see you did a very good and large research about all these people, In reward to you I can just say Thanks a lot for all that. You have guided many people (Including me) To the calisthenics world. Thanks again. Thanks for the kind words. This article did take a lot of research so I’m really happy that wonderful people like you appreciate it. But, don’t forget PIVET who is strong style bboy like Simonster. He does planche easier than anybody! Thanks for the suggestion, I’ll definitely consider him for the next update. One athlete in particular who has been extremely motivating for me is an Armenian calisthenics expert named Serge Tevosyan. Probably his most notable feat of strength is his planche hold/push-ups on only his thumbs! Please add him! Well, I am not satisfied because Ivan Kajtaz is not here. He is the best among all. I guess you can’t please everybody!! Great website. Hi there, thanks for the suggestion. I’ll definitely consider him for the next update. Awesome list, I only know about 20 of the guys on here, but they are all beasts. One person I didn’t see (might of missed him) was Roye Gold a trainer under Ido Portal, his Instagram is crazy from mutiple one arm chin ups at 90kg+ to straddle planche on his wrists. Thanks for the recommendation. His instagram is awesome. There’s an update of this list coming, we’ll definitely consider him for it, keep an eye for that. I recommend you to put Chris Heria into this list, mate.